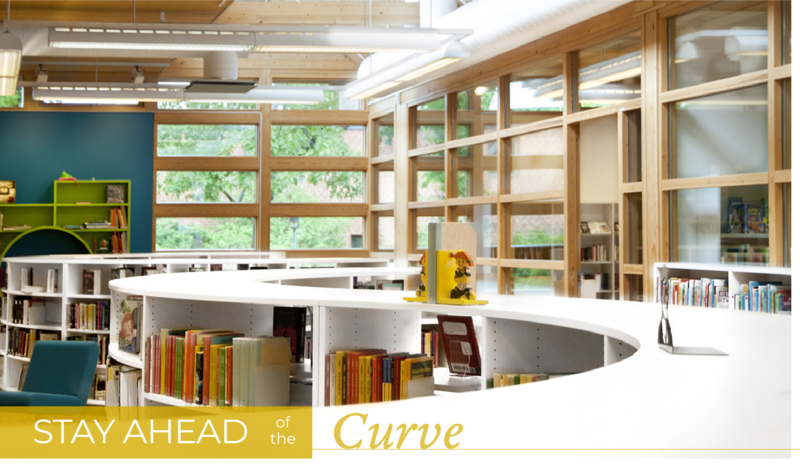 Stay ahead of the curve with some of BCI‘s most popular products: INFORM Curved Shelving and Slimline Curved Shelving. Use these shelving systems as complete round shelving or use a number of bays for a curved expression. With our curved shelving systems, you can create private spaces for children, or quiet reading areas. You can even enhance specific topics or simply add the round shelving to diversify a simple, straight interior design. Have questions? We have answers! Contact a BCI representative to learn more about BCI’s products, library planning and design, and more!